When workers have access to a vertical mast lift, then no job is really out of reach. 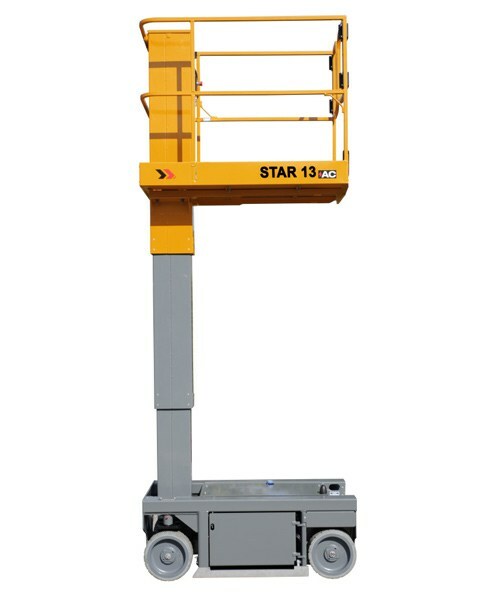 As an aerial work platform, this type of lift does have certain benefits which other lifts are unable to provide. 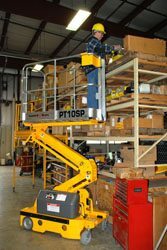 Although a vertical mast lift is usually the smallest of the aerial work platforms you'll find at any given job site, it is also the most versatile one. Do your workers face any of these challenges on a regular basis? High aerial jobs, projects, or repairs that are in very tight or confined areas? Jobs that require a high level of mobility, including the need to rotate while up in the air? Surfaces that are sloped at 45 degrees or more at heights of 20 feet or more? 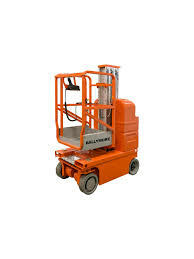 Then if you don't own a vertical mast lift, your workers might not be as productive as they could be. 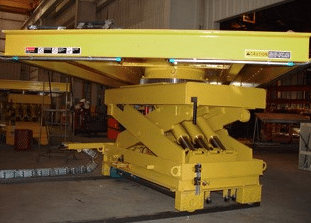 There is a wide variety of lift sizing options so you can meet your specific needs right now. 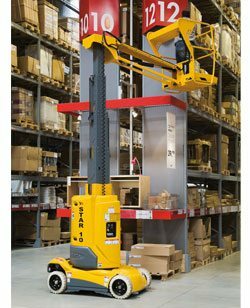 Electric mast lifts work well in warehouses, retail environments, aircraft repairs, and other situations where safety and control are absolutely required. Once the job has been completed, you also get to take advantage of the compact design of the vertical mast lift. 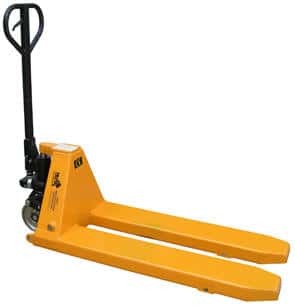 These lifts are quite small, which means they are highly portable and easy to store. If you're not using the lift for the day, it isn't going to leave an obtrusive mark in your storage area that is difficult for workers to navigate. Use this type of lift to replace stairs, ladders, or portable podiums that may be being used to provide worker access right now. 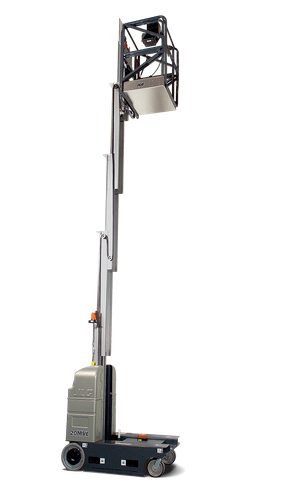 A vertical mast lift can even work around obstacles that a scissors lift is unable to allow. 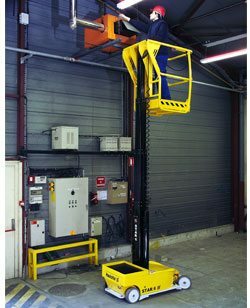 Vertical mast lifts come in many different shapes and sizes, so finding the one lift which meets a majority of your needs is essential to making the most out of this investment. Contact us today to discuss your project needs and together we'll find the lift that works best for you.